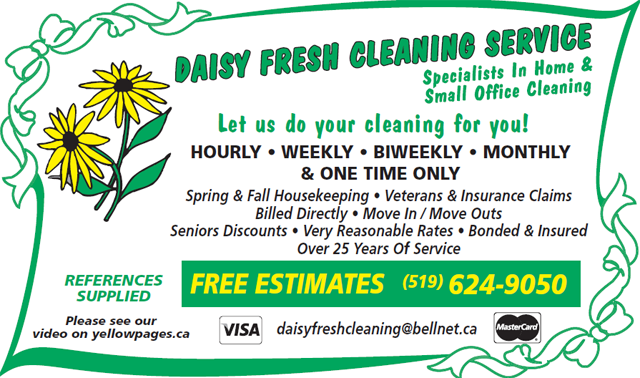 Family owned and operated since 1984, Daisy Fresh Cleaning has grown from a small company with a handful of customers to a booming cleaning business serving in excess of 500 clients every month. 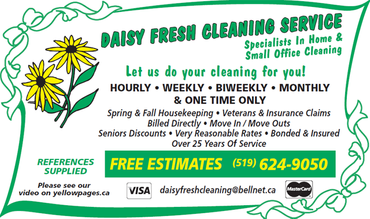 In 2009, Daisy Fresh was purchased by its current owner, Michelle, who wants to grow the business even further. With an aim to expand into several additional areas as well as plans to incorporate the business, the future for Daisy Fresh Cleaning Service looks as bright as the homes and businesses we leave behind! For more information, contact Daisy Fresh Cleaning Service today.